A Small Orange was founded in 2003 and currently has over 30 employees and serves tens of thousands of customers worldwide. Their headquarters are located in Durham, North Carolina and are actively seeking job applicants for five job openings, which is a strong indication of company growth. In this review, I’m taking a look at the A Small Orange website, packages, pricing, customer support options, and more. I’ll also take a look at outside resources to see how satisfied their customers are on independent verified resources. Have experience with A Small Orange? Awesome! Please click here and leave a review below! A Small Orange is a unique company because they refused to follow the rest of the companies that offer “unlimited everything” for an impossibly low price. It simply isn’t physically possible to offer 300GB+++ of actual space and Terabytes of bandwidth for a measly $4.95 a month (see any site that offers dedicated servers that has this much space). What these companies do instead is hide limitations, upsell you, and terminate your site if you use too many resources. Instead, A Small Orange offers plans that offer the exact resources you’ll need with no worry about hundreds of emails that upsell to other products and services and they promise to only email you with billing, customer support, and the occasional random customer survey for measuring customer satisfaction. This video shows you how to purchase a domain and setup hosting through A Small Orange. This video gives you a good idea of how hosting from A Small Orange works as well as setting up WordPress after signing up. * The business web hosting plans include a Free SSL Certificate, dedicated IP, and PCI Compliance which are needed for Ecommerce web hosting. 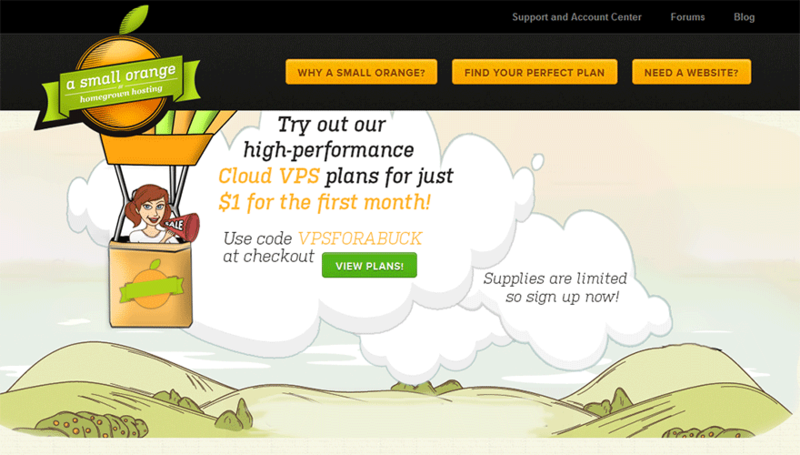 A Small Orange also offers Cloud VPS (Virtual Private Servers) and Dedicated Servers. I will get into these in a separate comparison page soon. If these are what you are looking for, please visit their site and take a look. With all of these options made available to you, how do you choose? Let’s say your budget is $20 a month for premium web hosting. Your options include the Large shared web hosting plan that offers 15GB space, the Small reseller plan that offers 3GB space but allows 30 separate sites, or the Startup business hosting plan that offers 10GB space but includes everything you need for hosting an eCommerce website. For me, there’s just too much decision!You have to choose based on how many sites you think you’ll need, how much space you need, and assume there’s actually a difference in hosting quality depending on the package you choose from. On the awesome: A Small Orange prices are up-front and honest. The prices I quoted above are actually the per-month price for their hosting services. They actually offer a discounted rate if you choose to pre-pay 3 months, 6 months, or a year in advance. Trust me when I say, most companies (like over 90%) quote you the 12-36 month prepay monthly price and no the real monthly price which is refreshing and a near shock to me as a long-time host reviewer. One of the best ways to determine reliability is to take a look at their money back guarantee. A Small Orange offers a 45 day money back guarantee and guarantee a 99.9% uptime. Since they do not oversell their servers, they also do not attract the type of client that will abuse their service with high resource usage whose consumption can slow or even bring down shared servers. Technicians are available 24/7/365 and are monitoring their data centers around the clock. Their data centers are patrolled by guards, monitored over CCTV, and are located behind multiple redundant lines of physical security. What if I want to cancel? With A Small Orange, if you want to cancel your service after the 45-day money back guarantee, they will offer you a pro-rated refund for any unused services you’ve paid for. However, as I’ve said above, you aren’t forced into a 1-year, 2-year, or even 5-year commitment. If you want to pay monthly, A Small Orange actually allows you to do so. My recommendation: For A Small Orange, because it’s important for hosts to earn your trust, I recommend signing up to your preferred package on a monthly basis. After three months of using their service, checking uptimes, and verifying the service is right for your site, then contact them and upgrade to a yearly plan to lock in their pre-pay discounts. Not many hosts offer this option, so take advantage of it. With A Small Orange, your best bet for ECommerce web hosting is their Business Web Hosting plans. 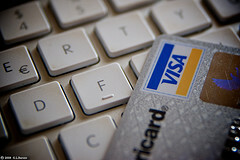 These plans include a free SSL certificate which is needed for any online credit card transactions. Their business plans also include a dedicated IP address, also needed for the SSL certificate, and finally, the business class includes full compatibility with PCI compliance. After you sign up for their business class hosting, shoot them a quick email and let them know your domain that you want your free SSL cert and they will take care of the rest. Unfortunately, A Small Orange does not offer telephone technical support as of the time of this review. This is actually a common occurrence with smaller web hosts because the costs associated with offering this outweigh the benefits until they attract more customers. Some hosts opt to outsource their telephone support to offer the appearance of better support, however, these hosts quickly discover that the language barrier associated with overseas support actually can permanently damage reputations. A Small Orange is dedicated to offering reliable customer service. In fact, they are one of only few companies that offer a support response time openly on their public web pages as shown to the left. Note: Please understand that the waiting time shown is a screenshot at the time of this review and not their actual current waiting time. After my in-depth review above, I’m actually quite impressed with A Small Orange. I love the small host feel and the site really gives me the impression that they care about their clients and are here for the long haul. A Small Orange does many things right including offering monthly payment options, discounted pre-paid pricing, and up-front quoted pricing based on the monthly price, not on some ridiculous three to five year prepaid plan. I really love the honesty here and you should too! Things they need to work on: After continued growth, I would like to see them offer a telephone customer support option for clients. 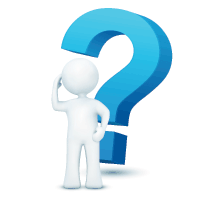 I’d also like to see less choice on their hosting offering because too many choices can often create confusion for a person who is new to web hosting and still unsure of how much space or bandwidth they will need. It’s good service to actually answer as many questions as possible without the client needing to email support for suggestions and a smaller package lineup would do just that. Have you had any experience with this host? I hope that you’ll spend five minutes and share your experience with this host in the comments below. Feel free to share anything from good to bad experiences as well as your website. Thanks for this review, Scott. I am currently seriously considering moving *all* my (admittedly, hobby) sites to A Small Orange. At the moment, I have just the minimum package (one site) with ASO and I have absolutely no complaints. The reason I am thinking about changing hosts totally to ASO is for the very reasons you detailed at the beginning of your excellent article: I got stung by the “too many resources used” trick at my current host and have gone from $15/mth to $70+/mth and they insist it’s not possible to move back. So, I’ll move totally to A Small Orange, I reckon. Hi Scott.. I found this blog while searching about a small orange. Just yesterday signed up to them after checking if they could transfer my sites from old host to thier server. They agreed readily to do a Capnel to capanel transfer. From yesterday, they are facing problems to take back up of Capnel from my old host as the job has timed out many times. But I see the patience and communication they maintain all through. It is top notch. Till now the transfer is not complete, but probably will be done today EOD. But I wanted to check others opinion on their support and if this is only during the initial days of setup. I hardly find any unhappy customers. So at least I landed up at the right place. This is only the set up experience which is great so far. Hope the hosting experience itself is good. Thums up from a recent user with only limited experience yet. I’ve been with ASO since they bought Draknet. They’ve been great. 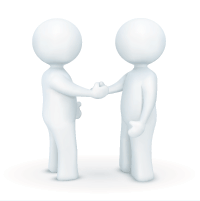 Uptime is fabulous and all problems or questions are resolved by a real human being with the company. I’m 5 years with my current provider and I’m very content with the service they delliver! I have a shared server were my site is on and now building a new site with WordPress. My provider deliver the knowledge and expertise. With warm regards, Ruud. I have used ASmallOrange since day 1. And I must say that I have nothing but good experiences. It is really a fast, efficient, and smart hosting service. I would recommend it highly to everyone. I use their reseller hosting with the medium plan. That gives me access to the WHM for managing my various websites. I think you should give this one a try. If nothing else, go with their Tiny plan. I’d just like to comment on a couple of your points. – my experience with the chat help has been stellar — they really do this well, and I am speaking as someone who has long experience in web things. Great information, friendliness, and accurate answers. As this is available 24/7 especially, I think it works better than phone service, and so they don’t need that. – I also think it’s quite unfair to put up that 28 minute wait timesaver an example. I’ve always found them much, much quicker, usually with very little delay or none at all. – finally, I can assure you that with the different possible uses of hosting, you really need those alternatives you are complaining about. That’s why they’re in small groups on separate pages for purposes. Anyway, nice to hear a positive review for folks who really deserve one, at A Small Orange. nice, I like it , I was gonna use [anotherhost]* but this changed my mind. I have been hosting with ASO for about 3 months. This is by far, at this point, the best hosting company I have ever been with. The support and customer service are amazing. Phone support doesn’t matter because they have chat and that gets the job done. I have had 3 reasons to contact support and a tech was available immediately, problem solved the first time, and they went the extra mile every time. The speed of the hosting blows away MediaTemple, GoDaddy and anyone else you want to put up here. I highly recommend A Small Orange to everyone. I run a VPS and moved 12 websites I was hosting over and it was easy and the hosting is just amazing!! You will not regret giving ASO a shot. I have a busy e-Commerce site hosted by A Small Orange in a dedicated VPS. I haven’t had more than a few months of uptime before a significant crash occurred with their cloud infrastructure. Every time my VPS was down for several hours, sometimes a day, before they could fix their infrastructure. Search for @asmallorange on Twitter and you’ll see that a lot of people have been affected by their unreliable service. I would not recommend them. This is by far the worst company I’ve partnered with. Ever. SIx days of constant downtime and yet not a single reply either on my ticket, or on my tweets. It is like begging for clients to go away. They have live chat, support via twitter, support via facebook, ticket system and yet, the do not answer during crisis to any of these media. One should avoid at any cost if one has even the slightest expectation of building a stable website. Their support is very polite when they are about to tell you that your website is down, but they never give you a reason and are very slow at troubleshooting. Again, they managed in less than a year to be a shadow of what they wanted to be. Such a pity. A small orange is the best hosting service and this having many features and this website is so colorful to see ever.